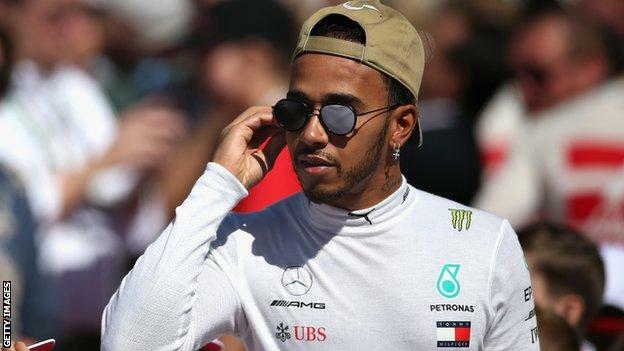 Lewis Hamilton just failed to clinch a fifth world title when he finished third in a thrilling US Grand Prix. 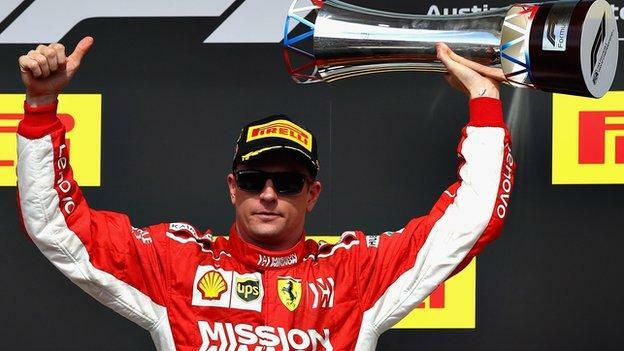 Mercedes let a victory slip through their fingers by delaying a second pit stop and Ferrari’s Kimi Raikkonen took his first victory for more than five years. Hamilton’s title rival and Raikkonen’s team-mate Sebastian Vettel looked to have handed Hamilton the title early on when he spun battling with Red Bull’s Daniel Ricciardo. 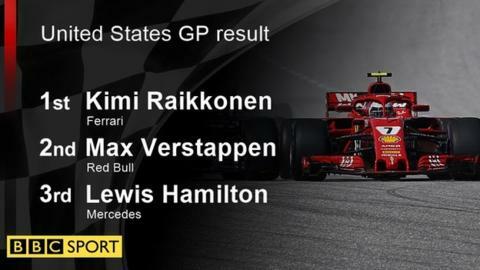 Red Bull’s Max Verstappen also beat Hamilton, who will have to wait until the race in Mexico next weekend to have another chance of clinching the title. 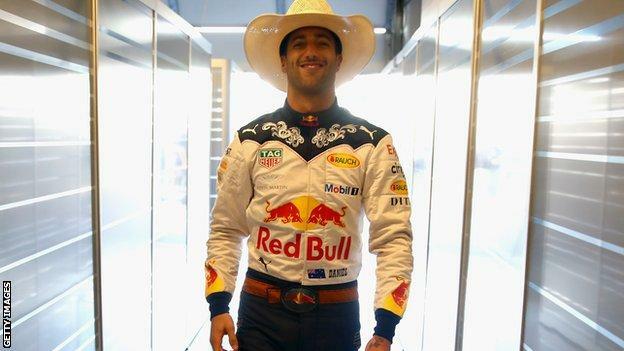 He leaves Austin, Texas, with a 70-point lead over Vettel, who eventually finished fourth, with 75 available over the remaining three grands prix. As it happened, even doing that would not have been enough to clinch the title for Hamilton, as Vettel passed the second Mercedes of Valtteri Bottas for fourth place on the penultimate lap. Hamilton lost the lead at the start to Raikkonen, who used his softer tyres to out-accelerate the Mercedes and pass into the first corner. But Hamilton and Mercedes appeared to grab back the initiative when they decided to pit under an early virtual safety car period on lap 11, when the cars are controlled to a certain lap time. That saved Hamilton 10 seconds over a stop under racing conditions and he was on Raikkonen’s tail within eight laps. But Mercedes left it too long to bring him in for a second stop, waiting at least five laps, in which time he ran into both traffic and grip problems and Verstappen joined Raikkonen in being close enough behind to ensure they would be ahead when Hamilton pitted again. 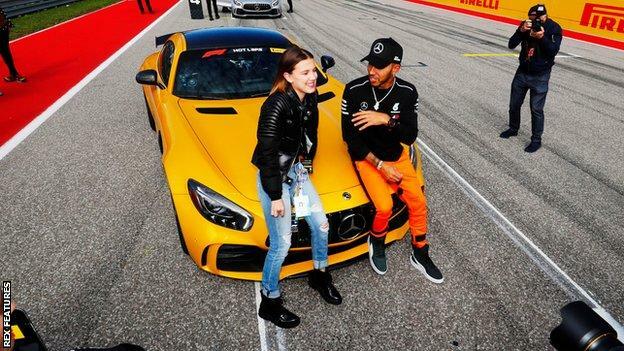 Once rejoining the race, Hamilton queried both the delay and the tyre choice Mercedes made, to take the softs rather than the super-softs Verstappen had taken. And sure enough, although he closed in on Raikkonen and Verstappen, he was unable to go by. 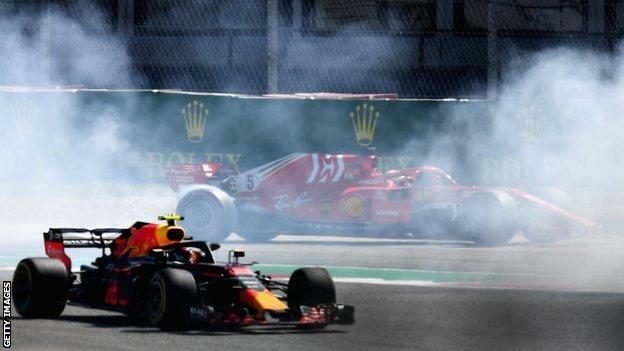 His best chance came on a thrilling lap 54, with two to go, as he raced side by side, switching back and looking for the advantage, through five corners with Verstappen, only to run wide at Turn 18 and lose his chance. Mercedes’ strategy confusion let Vettel off the hook, after the German made yet another mistake in a season that has been characterised by them. 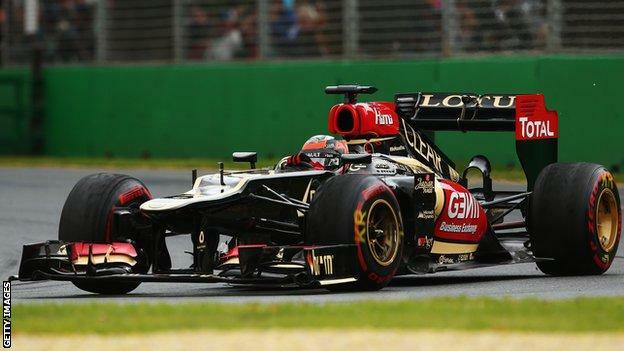 Needing to make up ground from his fifth place on the grid, following a three-place grid penalty, he tangled with Ricciardo and spun on the first lap. 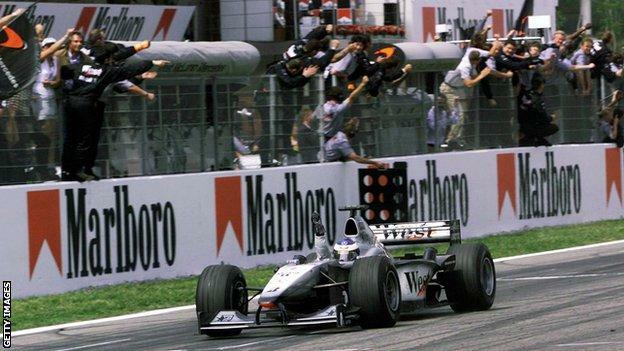 He fought back up to fifth quickly enough but for a long time it looked as if Hamilton would win the title, as he was too far back to score enough points to keep the race alive. But as Bottas ran into tyre trouble in the closing laps, Vettel was able to close in, and he dived for the inside of Turn 12 on the penultimate lap, as Bottas helped him through by running wide. Raikkonen drove a superb race. The Finn defended impressively against Hamilton, who was on fresher tyres, before his first pit stop, judging his car position beautifully, and kept Hamilton within sight afterwards. That gave him the lead and on older tyres he was controlled and perfect in the closing laps as Verstappen and Hamilton applied pressure from behind. It may have been his last chance of a win – he moves to Sauber next season to make way for the promising Charles Leclerc at Ferrari – and he took it beautifully. Verstappen, meanwhile, was superb in fighting for the win after starting 18th because of problems in practice. He made lightning progress through the back markers in the early laps and was soon running fifth. Red Bull then pitted him before Bottas to move him into third, which became second when Hamilton stopped again. It was a superb drive. Raikkonen: “It has been a great weekend. The car has been good all the time. Got a good start and needed to push hard. The tyres were going off at the end but we had enough speed and kept it consistent and just tried to keep the tyres alive to the end. Hamilton: “Big congratulations to Kimi, he did a great job today, no mistakes. Verstappen did a great job as well. He was on a slightly better tyre than us at the end. Mexico next weekend. Not last year a circuit where Mercedes excelled, Hamilton just needs to score five points to be champion.